Beryl Stevenson (nee Speirs) was born in Tumut, New South Wales on 24 January 1916. Beryl became proprietor and principal of the Wagga Commercial College in 1931. In February 1939, Beryl Speirs travelled overseas to attend Pitman's College in London. When War broke out in Europe later that year, Beryl worked for a while as private secretary to an underwriter at Lloyds of London. At the same time, Beryl and her friend Betty Furze undertook courses in first aid and ambulance driving. The old London ambulances had horizontal steering wheels. Beryl remembers having to stand up to turn the wheels as they went around corners. They also had to double declutch for every gear change as the gearboxes were not synchronised. After the landing at Dunkirk evacuation, Beryl at the British Council initially as secretary to Chairman of Books and Periodicals. She then went on to work for Lord Lloyd, the chairman of the Council, as his minutes secretary. Beryl and her friend Betty then became trainee nurses at Oldchurch Hospital, in Romford in Essex. They completed a 6 week traineeship. In August 1940, Beryl registered with Australia House for the role of escorting British children to Australia as part of the Commonwealth Overseas Reception Board (CORB) scheme. She was accepted and sailed for Australia on the Polish ship "Batory" which carried 477 children. She was one of 36 escorts on the ship. Beryl looked after 15 children during the 10 week voyage. During the voyage to Australia Beryl met and married a Scotsman, Lieutenant John Drysdale Stevenson of the Manchester Regiment, the Fortress Troops at Singapore. Beryl returned to Wagga after she had placed her 15 children with either relatives or foster parents. Beryl received an unexpected Telegram from her new husband requesting her to join him at Poona in India. He had been accepted into an officer's training course. Army wives had not been allowed in Singapore. Such restrictions did not exist in Poona. Beryl flew for 5 days by KLM aircraft to India. After a day on the train from Calcutta to Poona, Beryl and Steve were reunited for the first time since their wedding. After 7 weeks of training they travelled from Madras to Singapore in about May 1941 where they met up with a staff officer from Command HQ, Singapore at Fort Canning. He organised for Beryl to have a meeting at the Navy base with Sir Robert Brooke-Popham, the Commander-in-Chief, Far East. Beryl's reference from Lord Lloyd, obviously impressed Sir Robert as he hired Beryl as his secretary. She was now able to stay in Singapore with her husband. In January 1942, Japanese troops started to moved down the Malayan peninsula. Beryl escaped on the S.S. Anking, one of the the last boats out of Singapore with the General Headquarters' records and some GHQ staff. Their destination was Batavia in Java. She then moved to Lembang overlooking Bandoeng at the headquarters of the American British Dutch and Australian Command (ABDACOM). Beryl managed to obtain a job working as a stenographer for General Wavell the commanding officer of ABDACOM. Beryl worked mostly for General Playfair, Wavell's Chief of Staff. Singapore was taken by the Japanese on 15 February 1942. General Brett, Wavell's Deputy Commander, organised a flight to Australia for Beryl, an English woman and two American women. They flew on the QANTAS Empire Flying Boat "Circe" G-AETZ from Tjilatjap to Broome in Western Australia. They arrived in Broome on 2 March 1942, the day before the major Japanese bombing raid on Broome. The "Circe" was shot down by the Japanese during its return flight to Java about 140 miles north west of Broome. (another source states that "Circe" was shot down on 28 Feb 1942). Beryl suspects that Lieutenant-General H.G. (Gordon) Bennett may have escaped to Australia on the same aircraft. Gordon Bennett went on to command the 3rd Australia Corps which was assigned the task of defending Western Australia. One sources states that he arrived in Melbourne on 2 March 1942. Beryl Stevenson was met by General George Brett when she arrived at the railway station in Melbourne. Beryl was offered a job as Brett's private secretary in Melbourne. Before she left Lembang, Beryl was also given a letter of introduction to General Sturdee, CGS, by General Lavarack, the Australian Commander at ABDACOM. Beryl accepted the role with General Brett and continued to work for the Americans till the end of the war. General Brett became Commander, Allied Air Forces, SWPA after General Douglas MacArthur arrived from the Philippines on 17 March 1942. Lieutenant General George C. Kenney was then appointed as Commanding General of the Allied Air Forces in the South West Pacific Area replacing Lt-General George H. Brett on 4 August 1942. 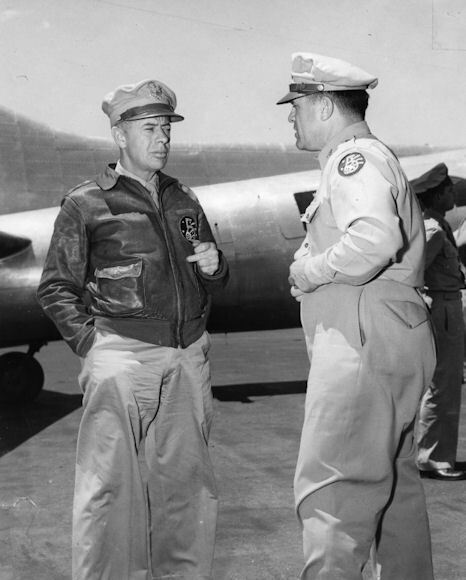 Kenney was then appointed as the Commanding General of the 5th Air Force on 3 September 1942. General Kenney's second aide in Australia was Major Clarence (Kip) Chase who went on to more important duties. Kenney went the rest of the war without an aide. Beryl Stevenson then took on the role of Kenney's private Secretary. An article in the Cairns Post of 6 October 1942 discussed Mrs Beryl Stevenson of Hasley Court, Moray Street, New Farm appealing to the Fair Rents Court to have the fair rent of her flat determined. Beryl's husband was in the British Army and had been taken prisoner by the Japanese in Singapore. She told the court that she did not know if her husband was dead or alive. She told the court that before she occupied the flat it had been taken out in the name of Captain John De Vos of the American Army. Captain De Vos was the personal aide for General Brett. She denied that Captain De Vos had spent most of his time at the flat. In fact De Vos had left Australia in early August 1942 with General Brett in Brett's private B-17 Flying Fortress "The Swoose". Beryl told Mr. J. Leahy that Captain De Vos had arranged the tenancy for her. 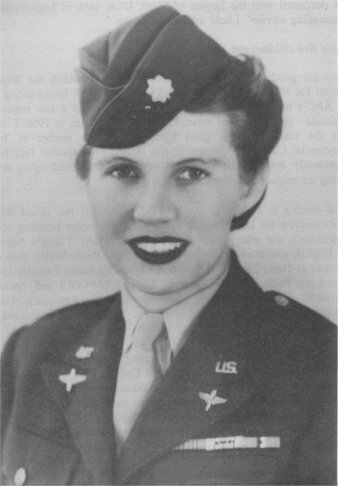 In 1943, Beryl Stevenson was commissioned into the American Women's Army Corps, Army of the United States (WAC). This allowed her to work with the American air force in the combat areas of New Guinea. There were two other non-American's commissioned as WACs along with Beryl Stevenson. They were Louise Mowat and Mrs Elaine Bessemer Clarke. Elaine was General Sutherland's secretary and Louise was General Marshall's secretary. Technical Sergeant Mabel Muller was Beryl's secretary. Mabel was unfortunately killed along with 22 other souls in the crash of a C-47 Dakota into the peak of the 6,350 foot Moucherolle in France on 14 March 1947. Mabel Muller and Emmanuel Faber who were both killed in this crash, were working for the United Nations Relief and Rehabilitation Administration UNRRA. General Kenney wrote to Beryl to advise her of the death of her friend Mabel. Beryl wrote a note in the back of her copy of WACs & Wings" stating that Tech Sgt Mabel Muller "and Tech Sgt Kodat kept Kenney's office running smoothly, in place & on the move." Other WAC's that Beryl mentioned were Major Blanche Cline and Margery Hugo. Major Blanche F. Cline was the Commanding Officer of the WAC Detachment Far East Air Force. Did you know that Beryl's boss, General George C. Kenney was probably responsible for the first flushing toilet to ever be installed in New Guinea in November 1942? General Douglas MacArthur was due to leave his Headquarters in Brisbane in early November 1942 for a visit to New Guinea. General Kenney flew a flushing type water closet from Australia for MacArthur's private use at Government House in Port Moresby. General Douglas MacArthur wanted Beryl Stevenson to fly up to Port Moresby with him. This was when she had become the first WAAC because the Australian Government would not allow her to put on an Australian Uniform to travel to New Guinea. Australian women were not allowed in active conflict Zones, except nurses etc etc, so General Douglas MacArthur enlisted her immediately into the US Army Air Corps. Hence she became the first WAAC in Australia. As Beryl was driven from Port Moresby airport into town, there were open latrines along the side of the road. Word evidently got around that a female officer was in town, and by the time they drove back out to the airport the following day to fly back to Darwin, the latrines had been covered up. 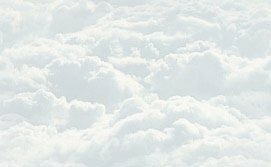 Beryl had an interesting journey from Brisbane to Sydney with General Victor E. Bertrandias, the Commanding Officer of the Townsville Air Depot in Townsville in about the winter of 1944. They travelled to Sydney in the General's private aircraft. "Killer" Clive Caldwell hitched a ride back to Brisbane with them. Beryl Stevenson was stationed at Seven Mile Strip near Port Moresby, at Nadzab and at Cyclops Strip near Hollandia. She also worked at Fort McKinley in Leyte, in Manila and in Okinawa and finally Japan. 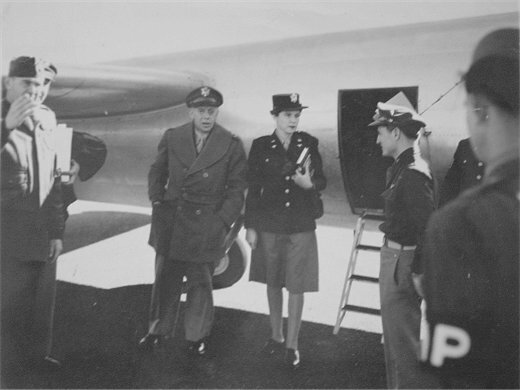 Major Beryl Stevenson was on the first U.S. aircraft (sneaked on by General Whitehead ) to land in Japan after the Japanese surrender. Hence she was the first woman and the first Australian to be in Japan after the Japanese surrender. At the end of the war Major Beryl Stevenson and General Blamey were the only two Australians decorated by the Americans with the highest medal they can award "aliens" - the Legion of Merit. Major Beryl Stevenson was decorated with the Legion of Merit, USA rank of Legionnaire for "outstanding service". Beryl Daley (formerly Stevenson, nee Speirs) passed away in Sydney on Australia Day, 26 January 2007. 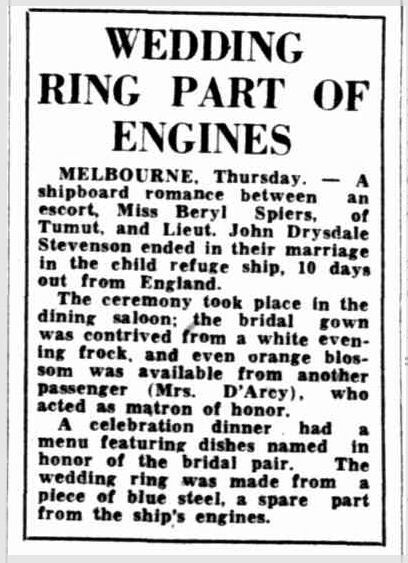 Beryl had always told her children that she was born on Australia Day and her children dutifully gave her presents on the 26th of January each year until it was discovered that she was actually born on 24 January, the day that Captain Arthur Phillip first sailed into Botany Bay, before he then sailed up the coast to Port Jackson on the 26 January 1788. I'd like to thank Rouna Daley, John Daley, Iain Stevenson, and Karen Nunan for their assistance with this web page.